Roy Morgan’s Government Confidence Rating increased by 11pts to 101.5 for the fortnight of March 16/17 & 23/24, 2019 compared to a month ago with 41.5% (up 4.5%) of electors now saying Australia is now heading in the ‘right direction’ and 40% (down 6.5%) saying Australia is heading in the ‘wrong direction’. Government Confidence is now in positive territory for the first time since Scott Morrison became Prime Minister in August 2018 as the Government prepares to deliver it’s pre-election Federal Budget next Tuesday. Driving the increase over the past month are strong increases in Government Confidence amongst a number of key demographics including L-NP supporters and supporters of Independents/Others, electors in Country Areas, electors in the States of Victoria, Queensland, Western Australia and Tasmania, electors aged between 50-64 years old and electors of both genders. Government Confidence has jumped for L-NP supporters over the past month increasing by a significant 16.5pts to 126.5 with more than half of L-NP supporters 54.5% (up 6.5%) now saying Australia is heading in the ‘right direction’ and only 28% (down 10%) now saying Australia is heading in the ‘wrong direction’. ALP supporters are also more confident about the country than a month ago with a Government Confidence of 98, up 4pts on late February. Now 40% (up 1.5%) of ALP supporters say Australia is heading in the ‘right direction’ while 42% (down 2.5%) say Australia is heading in the ‘wrong direction’. Supporters of the Greens have also seen an increase in Government Confidence from a month ago although the rating remains well into negative territory for their supporters at 83, an increase of 8pts on a month ago. Now 30% (up 2.5%) of Greens supporters say Australia is heading in the ‘right direction’ and 47% (down 5.5%) say Australia is heading in the ‘wrong direction’. Although this group still has a largely negative view of Government Confidence there has been a significant jump over the past month up by 13.5pts to 66.5. Now 24.5% (up 5%) of supporters of Independents/Others (such as One Nation, Katter Party, Centre Alliance, United Australia Party and others) say Australia is heading in the ‘right direction’ while 58% (down 8.5%) say Australia is heading in the ‘wrong direction’. Australians in Country Areas are feeling more confident about the direction of the country than a month ago although overall Government Confidence remains negative for Country folk at 92.5, up by 14.5pts on a month ago. Now 38% (up 6.5%) of electors in Country Areas say Australia is going in the ‘right direction’ compared to 45.5% (down 8%) that say Australia is going in the ‘wrong direction’. Government Confidence has also increased for Australians in Capital Cities and is now in positive territory at 106, up by 7.5pts from a month ago. Now 43% (up 2.5%) of Australians in Capital Cities say Australia is heading in the ‘right direction’ and 37% (down 5%) now say Australia is heading in the ‘wrong direction’. Government Confidence has increased strongly for both genders with Women’s Government Confidence up 10pts to 93.5 with 38% (up 5.5%) now saying Australia is heading in the ‘right direction’ and 44.5% (down 4.5%) now saying Australia is heading in the ‘wrong direction’. However, this is still well behind Government Confidence for men which is now well into positive territory at 109.5, up 11pts from a month ago. Now 45% (up 3%) of men say Australia is heading in the ‘right direction’ and only 35.5% (down 8%) say Australia is heading in the ‘wrong direction’. Government Confidence increased for strongly for Australians aged 50-64 years old over the past month up by 18.5pts to 95.5. Now 41% (up 8%) of 50-64 year olds say Australia is heading in the ‘right direction’ and 45.5% (down 10.5%) say Australia is heading in the ‘wrong direction’. However, despite the big increase for 50-64 year olds, Government Confidence remains highest for younger Australians and highest of all for 18-34 year olds at 110.5, up by 3.5pts from a month ago. Now 45% (up 3%) of 18-34 year olds say Australia is heading in the ‘right direction’ and 34.5% (down 0.5%) say Australia is heading in the ‘wrong direction’. Australians aged 35-49 years old are close behind their younger counterparts and now have a positive Government Confidence of 106, up by 8.5pts from a month ago. Now 42% (up 2%) of Australians aged 35-49 years old say Australia is heading in the ‘right direction’ and 36% (down 6.5%) say Australia is heading in the ‘wrong direction’. Older Australians aged 65+ years old are also more positive than a month ago and their Government Confidence is up 7.5pts to 92. Now 37% (up 2.5%) of Australians aged 65+ years old say Australia is heading in the ‘right direction’ and 45% (down 5%) say Australia is heading in the ‘wrong direction’. 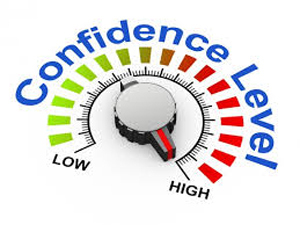 “Roy Morgan Government Confidence has increased into positive territory over the past month, up by 11pts to 101.5 for the last two weekends of March 16/17 & 23/24, 2019. This is the first time the leading indicator has been above the neutral level of 100 since Scott Morrison became Prime Minister in late August 2018. “The increases were broad based with strong increases for L-NP supporters up 16.5pts to 126.5, supporters of Independents/Others up 13.5pts to a still low 66.5, for Australians in Country Areas an increase of 14.5pts to 92.5 and for Australians aged 50-64 years old an increase of 18.5pts to 95.5. “There were strong increases in Government Confidence for both genders with women’s Government Confidence increasing 10pts to 93.5 and men’s Government Confidence up 11pts to 109.5. “Analysing the geographic spread of the increase revealed the strongest increases were in Queensland, up 21pts to 102, in Victoria in which Government Confidence increased 12pts to 103 and Tasmania in which Government Confidence increased 28.5pts to 101. “There was little change in New South Wales although this poll was taken during the last week of the New South Wales Election campaign with significant uncertainty about who would form the State Government following the election. “The increasing Government Confidence on the eve of a Federal Budget expected to deliver a surplus for the first time in over a decade may reflect anticipation of several stimulatory measures expected in the Budget. Stimulatory measures are likely to include taxation reform including income tax cuts and increased spending on infrastructure and essential services such as health and education. Finding No. 7931 – This Roy Morgan Poll on Roy Morgan Government Confidence was conducted via face-to-face interviewing during the month of March. Roy Morgan interviewed 1,549 Australian electors aged 18+ on the weekends of March 16/17 & 23/24, 2019.